April 27, 2016: Knife Rights’ Oklahoma Knife Law Reform bill, SB 1159, has been signed into law by Governor Mary Fallin. SB 1159 removes dagger, bowie knife, dirk knife and sword cane from the items prohibited from carry in Oklahoma, and finishes the job Knife Rights began last year with the repeal of the ban on carrying switchblade (automatic) knives and with the passage of Knife Law Preemption in Oklahoma. Since Knife Law Preemption is already the law in Oklahoma, the revised law will be effective statewide when it takes effect on November 1, 2016. This represents the culmination of three years of effort by Knife Rights in Oklahoma where there are no longer any restrictions on ownership and carry of knives. Just more proof that we are the one getting it done™ for knife owners in America. Getting it done means having the perseverance to come back to a state’s legislature as many times as necessary to finish the job. Expert lobbying on the ground in the legislature is what it takes and why we can now count 21 pro-knife bills passed in 15 states in six years. No other organization can make that claim. April 19, 2016: Knife Rights’ Oklahoma Knife Law Reform bill, SB 1159, was passed by the House 76-5. It was previously passed unanimously by the Senate. The bill now goes to Governor Mary Fallin for signature. Whether writing or calling, all that is necessary is to simply ask her to please sign SB 11591. That’s it, keep it short and to the point. SB 1159 removes dagger, bowie knife, dirk knife and sword cane from the items prohibited from carry in Oklahoma, and finishes the job Knife Rights began last year with the repeal of the ban on carrying switchblade (automatic) knives and with the passage of Knife Law Preemption in Oklahoma. Since Knife law Preemption is already the law in Oklahoma, SB 1159 will be effective statewide upon enactment on November 1, assuming Governor Fallin signs the bill. March 31, 2016: Knife Rights’ Oklahoma Knife Law Reform bill, SB 1159, which has already been passed unanimously by the Senate, was voted out of the House Public Safety Committee with a unanimous Do Pass recommendation. The bill now moves to the full House for a vote. SB 1159 will finish the job Knife Rights started last year by removing dagger, bowie knife, dirk knife and sword cane from the items prohibited from carry in Oklahoma. Last year Knife Rights repealed the ban on carrying switchblade (automatic) knives and passed Knife Law Preemption in Oklahoma. With Knife Law Preemption already the law in Oklahoma, if we succeed in getting SB 1159 enacted, it will automatically be the law throughout the state. March 2, 2016: Knife Rights’ Oklahoma Knife Law Reform bill, SB 1159, has been passed unanimously by the Senate. Introduced by Senator Nathan Dahm and sponsored in the House by Rep. John Paul Jordan, SB 1159 will finish the job Knife Rights started last year by removing dagger, bowie knife, dirk knife and sword cane from the items prohibited from carry in Oklahoma. The bill now moves to the House for consideration. Last year Knife Rights repealed the ban on carrying switchblade (automatic) knives and passed Knife Law Preemption in Oklahoma. 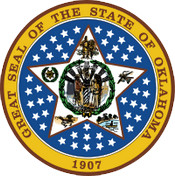 February 18, 2016: Knife Rights’ Oklahoma Knife Law Reform bill, SB 1159, has been passed out of the Senate Public Safety Committee with a “do pass” recommendation by a unanimous vote. Introduced by Senator Nathan Dahm and sponsored in the House by Rep. John Paul Jordan, SB 1159 will finish the job Knife Rights started last year by removing dagger, bowie knife, dirk knife and sword cane from the items prohibited from carry in Oklahoma. Last year Knife Rights repealed the ban on carrying switchblade (automatic) knives and passed Knife Law Preemption in Oklahoma. January 29, 2016: Knife Rights’ Oklahoma Knife Law Reform bill, SB 1159, was introduced by Senator Nathan Dahm. SB 1159 will finish the job Knife Rights started last year by removing dagger, bowie knife, dirk knife and sword cane from the items prohibited from carry in Oklahoma. Last year Knife Rights repealed the ban on carrying switchblade (automatic) knives and passed Knife Law Preemption in Oklahoma.